The 2016 federal budget indicated that the government plans to borrow heavily over the next four years. How much of a difference will budget promises make over the status quo? This latest edition of Graphic Intelligence charts the total amount of interest-bearing debt accumulated by the federal government. 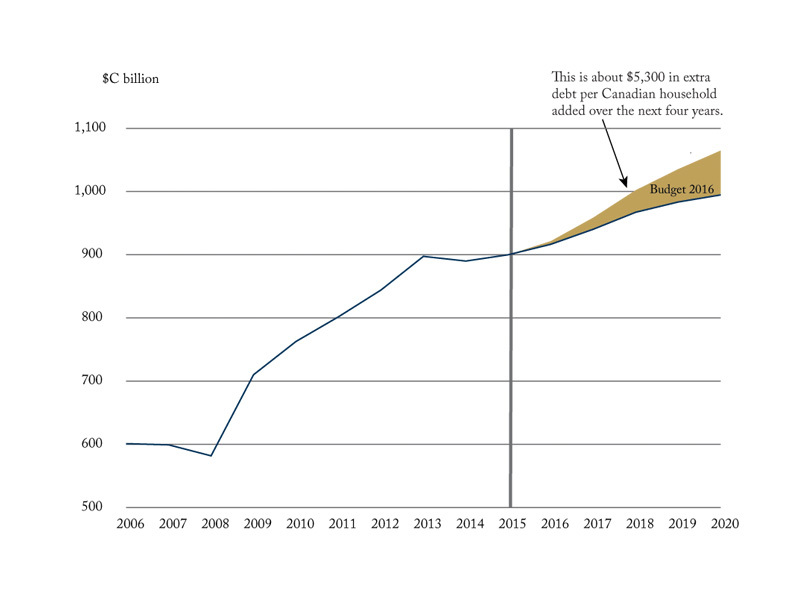 It also shows how the 2016 budget will add about $5,300 in new debt for each of Canada’s 13.3 million households. Source: 2016 Federal Budget, February Update, and Statistics Canada.